No matter where you may be in the world, if you operate on 20 Mx, there's a good chance that you have heard VK3MO's signal. 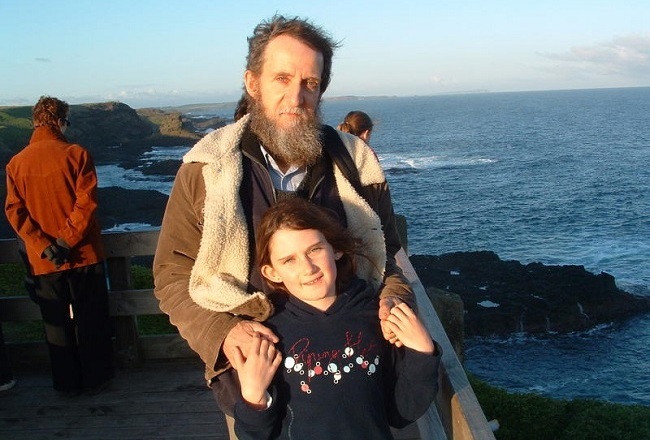 For many years I have heard Ian talking to people in far flung places. 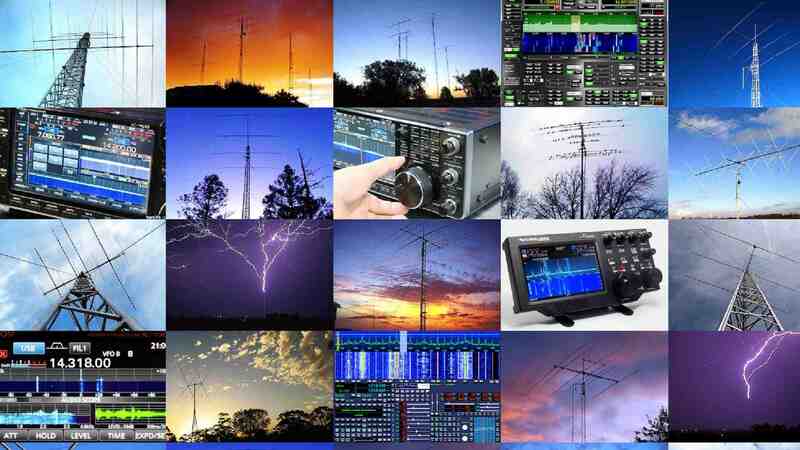 Even as a young Amateur Radio operator I can remember listening to his over powering signal here in Adelaide, South Australia but quite often unable to hear the person on the other end of the conversation. From memory, in those days, I was using an FT200, also known as the 'Tempo One'. The reason for the signal strength worldwide is because of his antenna systems. He is currently using a stacked 5 over 5 over 5 over 5 array. ie. 20 monoband elements on 20 Mx. 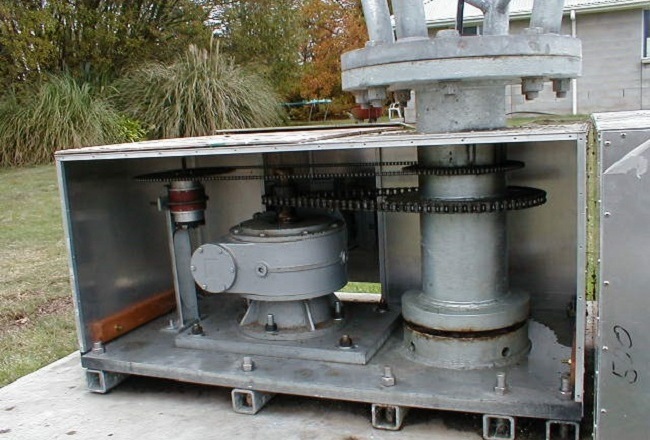 The array is mounted on a 200 Foot rotating tower. 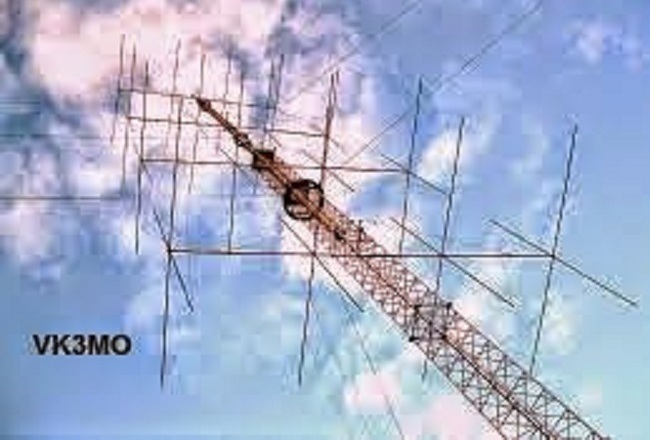 Prior to this antenna, Ian was using a 4 over 4 over 4 over 4 Quad array which unfortunately was destroyed in a storm. Ian lives in Kyneton, Victoria. VK3 land. Very well known around the globe, Ian has gone to a lot of trouble to build his station. Since he is an inspiration to other Amateurs, I asked Ian if I could build a short website page about him and his Ham Radio efforts. 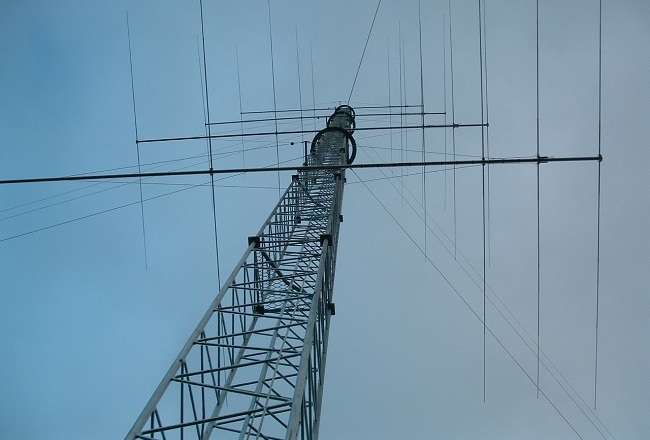 This page is the result and highlights his passion for our shared hobby of Amateur Radio. 20 Elements, 20 Mx Stacked Array. Ian, VK3MO and his daughter, Rachel. 2006. 5x5x5x5 - 20 Elements, 20 Mx Array. 200 Feet. A not so good picture of the old Quad Array. Ian became interested in Amateur Radio from an early age, obtaining his license at the age of 16. He has been very active ever since. Now in his early 70's, Ian is as always, an enthusiastic radio operator. He is still working and runs an electronics/software business. 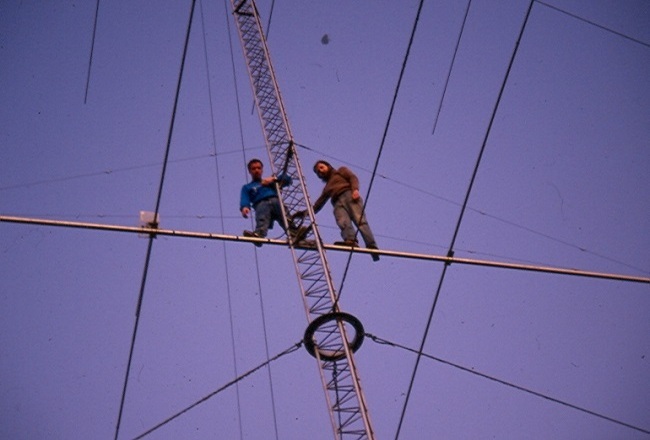 Another of his antennas is a Rhombic antenna mounted on 4 towers, each 132 feet high. He is very keen in investigating the take off angles of the RF signal. Apparently, the take off angle of the yagi array is between 3 and 20 degrees. 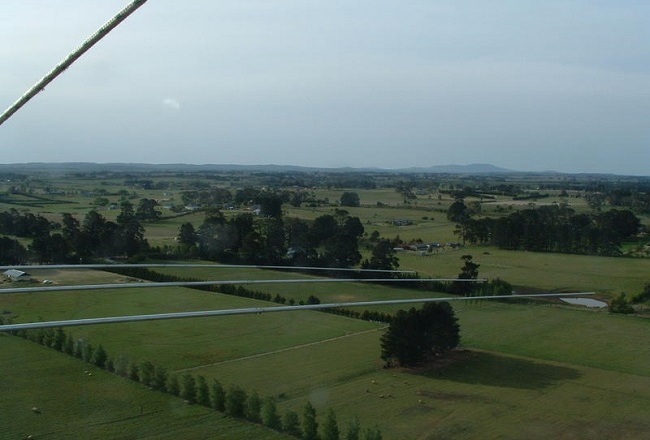 Ian was saying that to get a very low take off angle and thereby better signal strength around the world, the antenna system needs to be situated on the side of a hill. He was saying that figures of around 2 degrees can be achieved this way. 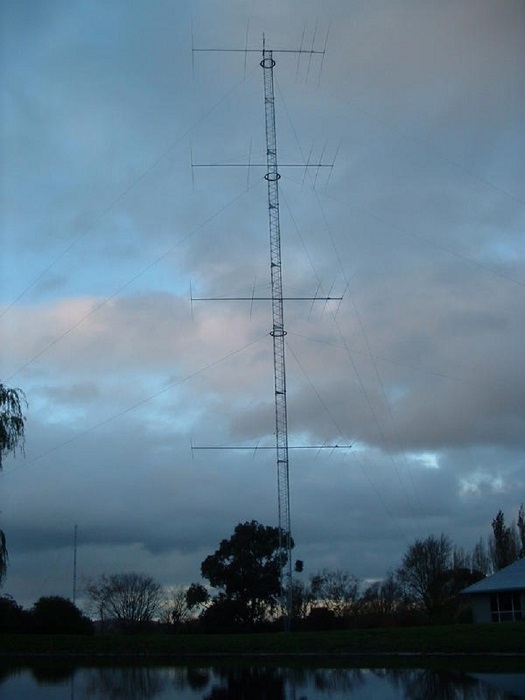 Nowadays, he is endeavoring to use a remote 2Mx link to his other radio station where an antenna system is located on the hill side of his new property. The remote station is currently being developed. Ian, VK3MO continues to be a source of inspiration for all Amateurs. Where ever you may be located around the globe, if you hear his signal, don't hesitate to give him a call.